No word yet if that bit of vagueness is referring to the luxury casino proposed by Block E’s owners. 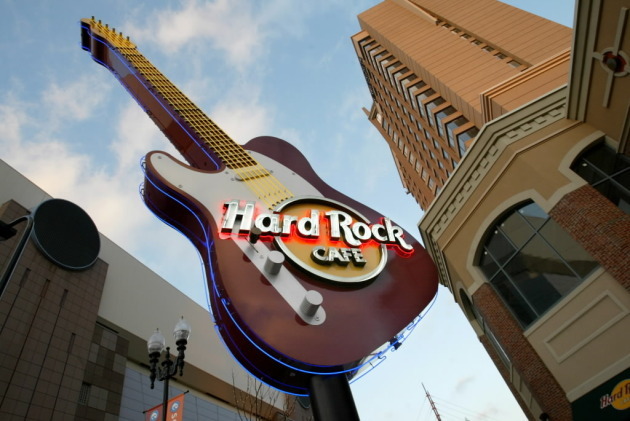 The Hard Rock Café opened in 2002, just as Block E was getting off the ground. The 9,000-square-foot restaurant was decked out with rock memorabilia from the likes of Madonna, Tina Turner and hometown hero, Prince. Almost a decade later, it’s one of the last anchor tenants left, with Borders and GameWorks long gone. The recent exodus of restaurants includes Hooters, Applebee’s and Panchero's. In April, a Panchero’s spokesman said the Mexican grill was forced out of its lease, something Block E’s owner denied. Alatus LLC bought the downtown development in 2010 for $14 million and assumption of $28.5 million in tax increment finance repayments. Alatus hopes to transform the site into a $200 million-plus Bellagio-style casino.